Dimensions (HxWxD): 0.75" x 0.625" x 0.375"
REDUCED FROM $329 to $249. THAT'S 25% OFF RETAIL PRICE! 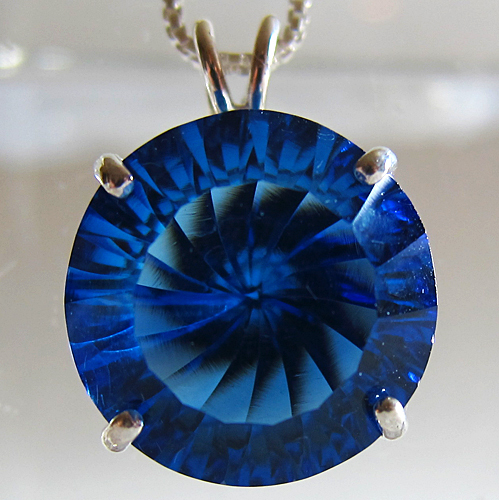 This gorgeous, energetically powerful Round Tibetan Blue Obsidian Gemstone pendant comes from the banks of the Yarlung Zangbo River. The Zangbo is the highest altitude major river in the world, originating in the Tamlung Tso Lake in Western Tibet, southeast of Mount Kailash, one of the most sacred sites on Planet Earth. This Round Tibetan Blue Obsidian Gemstone pendant comes complete with its own sterling silver chain in a velvet jewelry box for safe-keeping. Note: Weight above is shipping weight. Net weight of this pendant is 6 grams. 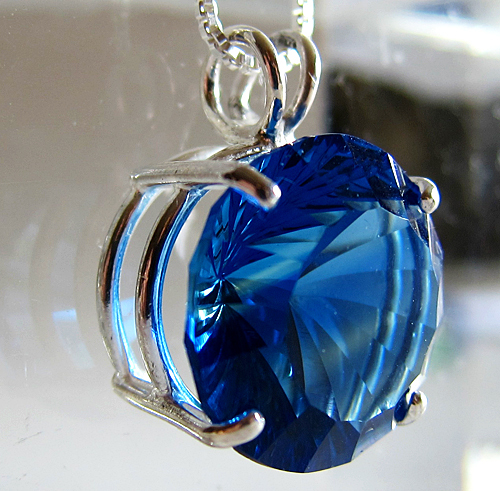 Each pendant is unique and may vary slightly in coloration. Each piece is guaranteed to be beautiful and to meet with your complete satisfaction!